Selon eux, la présentation qui leur a été faite du système français des résidences de loisirs gérées (french leaseback, pour les anglophones) a été trompeuse et ils s’estiment aujourd’hui prisonniers d’un système kafkaïen. He goes on to highlight owners concerns that the complaints are being investigated by a body (the DGCCRF) which is a part of the French government department that devised the tax incentive schemes that have given rise to these consumer problems in the first place. 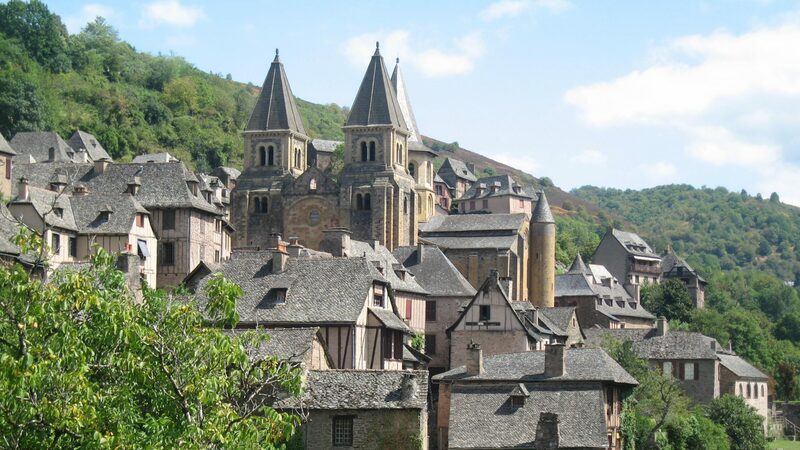 This department itself is arguably the largest stakeholder in French leaseback! Can consumers be confident that the DGCCRF will uphold their rights ? The Sunday Times has a piece in the Irish edition by Pavel Barter focusing on the DGCCRF investigation and the inability of Irish owners to get rid of operators and get control back of their properties – properties that they paid highly for. Yes.. it’s always someone else’s fault..
Pavel goes on to say that Virginie Beaumeunier, head of the General Directorate for Competition Policy, Consumer Affairs and Fraud Control (DGCCRF), told Hayes she was conducting a nationwide investigation into Irish leaseback cases, which she hoped to conclude this year..
Connexion France has a piece in the March edition on the DGCCRF investigation. 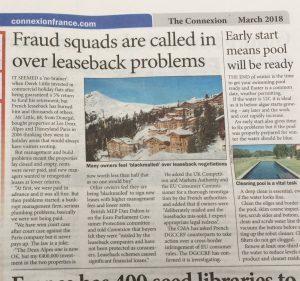 See Fraud squads are called in over leaseback problems. Jorge Carasso reports on the @DGCCRF (French Competition, Consumer Affairs and Repression of Fraud) investigation on the #FrenchLeaseback issues. The purpose of the investigation is to establish whether these sales fall under unfair commercial practices within the meaning of the European texts. 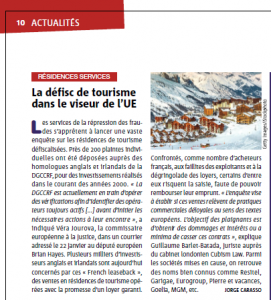 The aim of the plaintiffs is to obtain damages or at least to break these contracts..
M. Carasso has reported widely on this subject already in particular on residence de tourism failures. Read the article in Le Particulier (Le Figaro). This will be published in the paper edition in March. Peter O’Dwyer over at The Times (Irish edition) has written that the French DGCCRF are investigating complaints from Irish and UK consumers who purchased #FrenchLeaseback properties and allege they were mis-sold. ..many Irish leaseback property owners were struggling to meet their mortgage repayments and were at risk of having their properties repossessed. Irish homeowners felt that they were at the mercy of the French watchdog and were not confident that it would investigate the matter in a ‘transparent or timely fashion’. Mr. Hayes has called for EU Commissioner, Vera Jourová, to oversee the investigation. The European Commission has said that, under present EU rules, it cannot launch it’s own inquiry. Read press updates for Autumn 2017 and previous press updates.